Bookkeeping is a significant part of any business as it provides a record of your day-to-day financial operations. The records created by the bookkeeper will be used in other accounting processes, making it necessary for the records to be as accurate as possible. With proper records, more strategic business plans can be made, as you will be able to have a better grasp of your business’s financial health. At Back Office Consulting, we provide bookkeeping services in Singapore that will make your business operations much easier. Instead of spending countless hours doing your bookkeeping, hiring us to provide the bookkeeping services you need may be your best option. Our team at Back Office Consulting will handle your bookkeeping function, allowing you to spend your valuable time on other essential aspects of your business. Having more time to tackle critical front-end tasks will enable you to fulfil more business objectives like expanding your business or achieving more sales. Our bookkeeping services will be helpful for sole proprietors or small business owners that do not have prior knowledge of bookkeeping. With our expertise, we can provide you with reliable bookkeeping services that abide the regulations set by the Singapore Financial Reporting Standards (SFRS). That will ensure that your records will meet the standards required by the corporate governing authorities. By choosing us to do your bookkeeping, costly errors can be minimised, as we will be able to spot and correct mistakes in data entry. You will also be able to compare your expenditure against your budget, allowing you to develop a better plan for future budgets. Furthermore, you can avoid incurring additional costs that that would have been compulsory if you decided to hire an internal bookkeeper. As we strive to provide one of the best bookkeeping services in Singapore, we are always willing to provide you with any necessary assistance. If you have any enquiries regarding the bookkeeping services we provide, our friendly team will gladly answer any questions. We can be reached via the contact form provided, or through the telephone. What are the benefits of outsourcing the bookkeeping services to us? As a business owner, your time is so valuable so it is of paramount important to spend it wisely and focus on the core value-creating activities instead of sitting back at the office and piled with paper works. On top of that, you can expect close to 50% cost saving as compare to hiring a full-time accounts staff using our bookkeeping services. Additionally, no CPF contribution, no levy, no bonus, no medical fee, no headache for you. This will pretty much ease the cash flow for business owners like you. In most cases, business owners rarely check their accountant’s work especially when they themselves lack the accounting knowledge to do so. With us, we would always ensure proper documentation by the internal staff of yours and therefore encourage check and balance. Can you possibly imagine that you can share a part of accounts manager’s time and expertise when you are paying merely half of what you are paying to your junior accounts staff? This is not a dream and Back Office Consulting is inviting you to share the pool of expertise we have. Most importantly, outsourcing the bookkeeping function allows you to free up your company’s hiring quota for other functions. 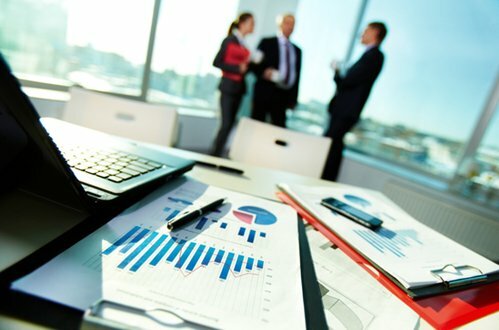 It is a myth that all business entities need accounting services (although most do) but all of them however needs bookkeeping services, especially in Singapore. This is true when the Inland Revenue Authority of Singapore (IRAS) and the Accounting and Corporate Regulatory Authority (ACRA) make it a requirement for all business entities in Singapore to keep proper accounting records and documentation. Despite certain business entities that meet certain requirements from the authorities that allows them to be exempted from the annual filing, they are still required to keep proper accounting records as well as the documentation as mentioned above. What is the Bookkeeping service we are rendering? Many, especially non-accountant, have the mindset that both bookkeeping and accounting are the same. However, bookkeeping is only a subset of accounting and some accounting firms that claimed that they are providing accounting services are in fact providing only bookkeeping services. A bookkeeping is the act of recording the day-to-day operational transactions and activities, of a company, partnership, sole proprietorship or any other business entity, in a chronological order. These records will then be used in the other parts of the accounting information system (For details, please refer to Accounting services). Why is Bookkeeping important for business entities? As mentioned above, it is a statutory requirement for any business entities to maintain proper accounting records and complying with these requirements will no doubt help them to avoid unnecessary troubles. On top of that, bookkeeping is crucial to ensure prompt and accurate recording of the business transactions and activities as documents or evidence of business transactions an entity has will be traced during the bookkeeping process. In addition, bookkeeping is an essential part or even the origin of the accounting information system. In order to enjoy the benefits from system, the books or the financial data of the entities must be first properly kept and therefore facilitate the rest of the processes. How to ensure the Bookkeeping is done up to standard? Any business entities can recruit a well-trained accountant to maintain its books. However, you can trust us that it is not always easy to find one and it might not even make commercial sense to do so some time, especially for new start-ups or small and medium enterprise (SME). Alternatively, you have the option of using the bookkeeping services offered by Back Office Consulting. Being one of a fastest growing bookkeeping services provider in Singapore, we always strive to ensure our work is in compliance with the Singapore Financial Reporting Standards (SFRS) and other relevant regulations. What are you waiting for? Contact us now via the Contact form to get a free upgrade to Accounting service!